Our thoughts and prayers are with the entire Zimmer family as they grieve the loss of a husband, a father and a grandfather in Bill Zimmer. "My dad was a heck of a mentor." 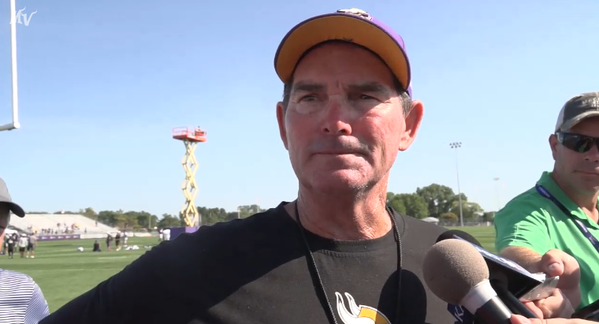 Coach Zimmer on the passing of his father, Bill. I'd like to say I'm excited by the fact there was a no-hitter in Seattle today. At one time that would have been special. Now, not so much. "It was the happiest I've been in a while." 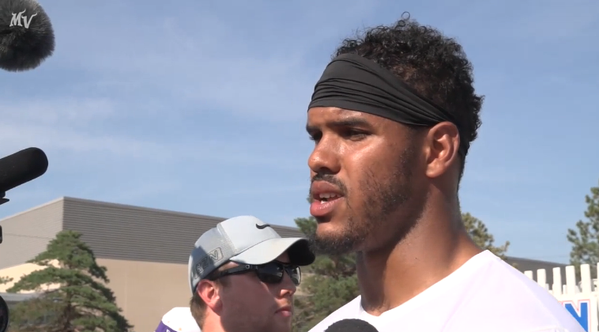 @itheeayb on getting back on the field. Remember when Aaron Hicks convinced himself he could not hit lefthanded? That's his first career leadoff home run and 7th for Twins this yr.
.283/.339/.434 w/ 17 homers and 23 stolen bases. Omigod. Miguel Sano. Are you serious? The term tape measure home run was invented for guys like Miguel Sano. Aaron Hicks' four hits match his career best which he accomplished July 8, 2013 in Tampa. Pitchers treat Miguel Sano like he's Miguel Cabrera. And that strategy seems warranted. 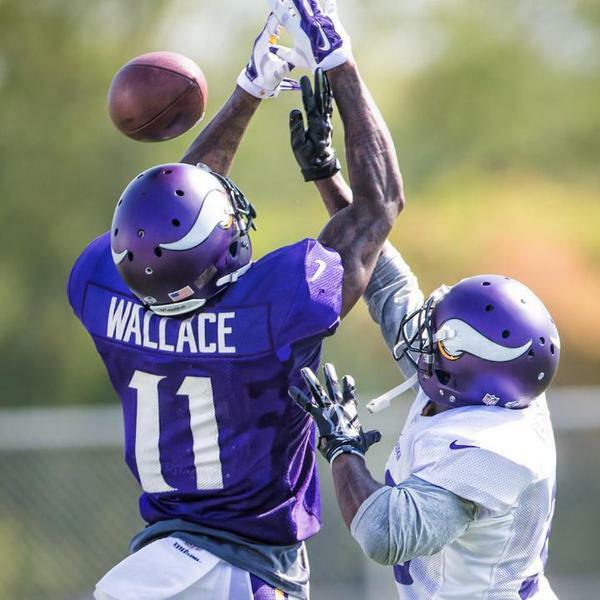 The WR-DB battles are heating up as #VikingsCamp comes to a close. 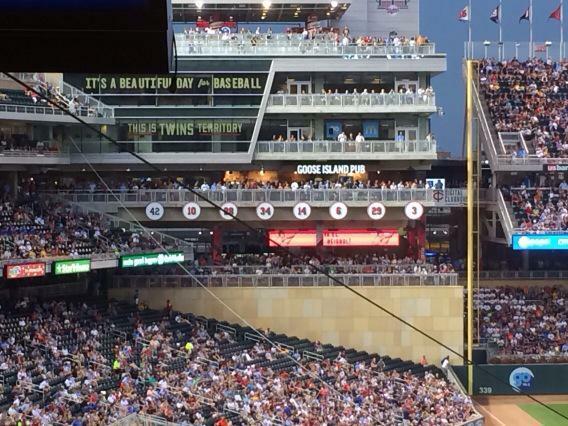 Just asked this question: Twins players you would not leave your seat for their at-bat b/c they might hit a mammoth home run? 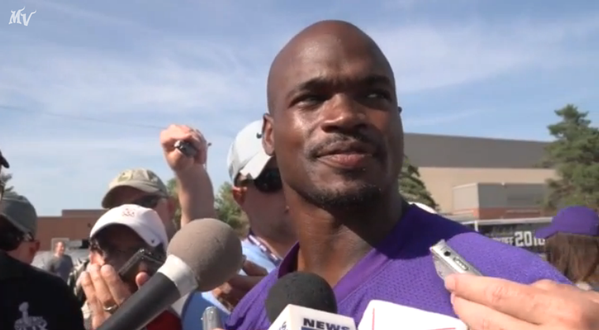 Sano, Thome ..
Adrian Peterson (thigh) is sitting out this AM's practice. #Vikings have afternoon walkthrough before departing Mankato today. 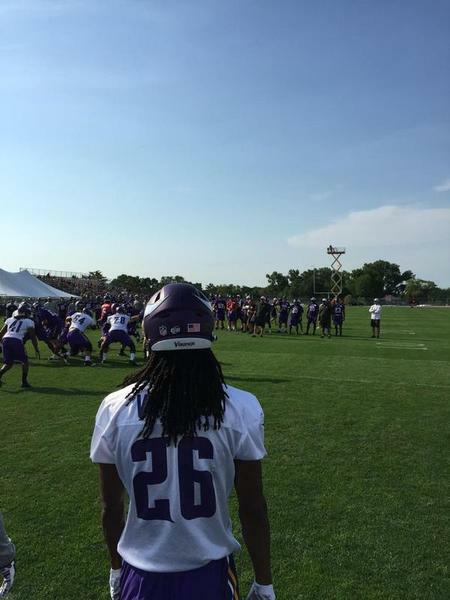 #Vikings a little rusty this AM, so Zimmer orders a lap around the goal post for all 90. Bostick, Stephen, Crichton, Peterson, Lutman and Robinson not practicing today.